Wholesale Ostrich Feathers | Ostrich Feathers & Plumes | M. Schwartz & Gettinger Feather Inc.
M. Schwartz & Gettinger has a great selection of ostrich feathers that are available at great, wholesale rates. We are a nationwide distributor of all the feathers in our warehouse and pride ourselves on our excellent selection. Tap into your creative side with an assortment of wholesale ostrich feathers! We have loads to choose from to help you with any design! 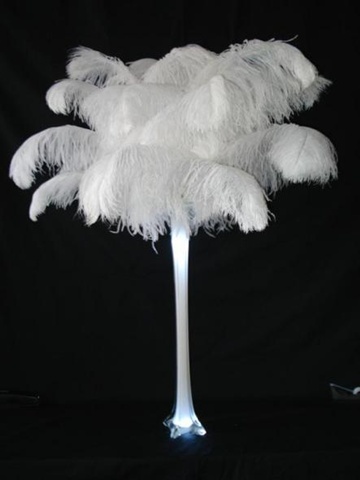 Aside from use in costumes and décor, Ostrich Feathers are also great as dusters for fragile items. They will pick up dust particles from electronics and glass materials more efficiently than synthetic material. Following the removal of the dust, the ostrich feathers themselves can be cleaned and, if stored and maintained properly, will remain intact for years. The ostrich population is not threatened or endangered. This allows wholesale ostrich feathers to be in abundant supply and readily available. They are the largest bird in the world. Normal height is up to 8 feet tall. Although they are the heaviest bird and unable to fly, this animal can actually run up to 40 mph. In the wild it has adapted to their desert-like environments in very limited regions of the world. In the United States the ostrich can be found at zoos, farms and ranches. A stereotypical trait of the ostrich is that they submerge their head into the ground. It may have appeared that way, but the animal is actually only laying its head against the sand. From several yards away it looks like the head is buried. When they are not attempting to hide, the ostrich will be seen eating plant life, though they will eat insects and small animals if necessary. Although the animal does not fly, the wings of an ostrich still serve a purpose. When they are running, the wings spread out to keep them balanced. They are also shown when interacting with a potential mate. 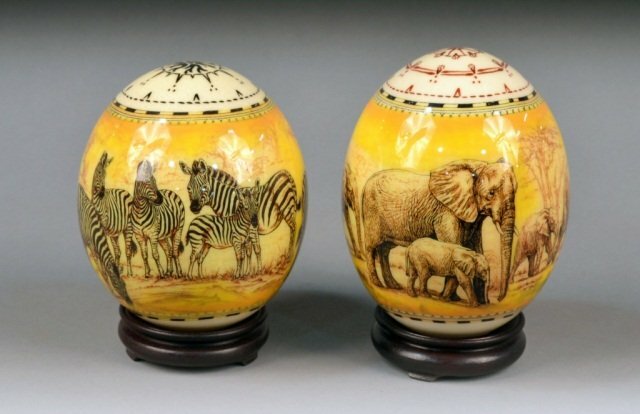 The ostrich has been compared to the camel for its striking similarities. Aside from its obvious extended neck and large eyes, both animals can sustain a healthy life in hot environments. Both also can go for longer than average periods with no water, consuming it only through plant life. The ostrich also produces the largest eggs of any bird. The male and female alternate to keep the eggs warm. Because the male’s feathers are black, he is better suited to blend in with the dark at night. The eggs normally hatch after 45 days and a baby ostrich appears. Purchase these in bulk for limitless purposes. Parts of the ostrich feather Plume - the large part of the ostrich feather Quill - the bare stalk at the bottom end of the ostrich feather The plume consists of a shaft with branched barbs which in turn have barbules. A single Barb with Barbules is called a Plumule, and all the Plumules together is the Flue. This all sounds very technical and dull. But place a dozen or more large ostrich feathers in a centerpiece vase and the result is a thing of beauty. M. Schwartz & Gettinger Feather Inc. has years of experience providing customers across the country with the best in ostrich feathers and plumes. All our feathers are available at great wholesale rates and can be shipped to customers across the country. If you would like more information about our selection of feathers, please contact us today. The number to call is 631-234-7722. We will gladly answer any questions or concerns you may have about our array of feathers. You will not be disappointed with our selection of feathers!